Cambridge Corn Exchange is a smallish venue, and with the temporary seating installed probably held around 1000 last night, assuming the balcony was used and full – for some reason it didn’t occur to me to look! By the sound of it, Wilson’s PA easily had the capability to fill a hall of twice the size, and unfortunately, like a lot of mixing desk folk, the guy behind it seemed to be incapable of realising that he didn’t actually need to have cranked the volume up so far. To put it plainly, in places and towards the end when those auricularly challenged troglodytes at the controls always turn it up, it was TOO EFFIN’ LOUD, and I was wearing earplugs! If anyone involved with the band reads this, I’d love to know why you think it had to be so OTT in the volume department. I realise that the acoustics of the venue and where one is sat can have a bearing, but I doubt these problems can be put down to that. I’ve seen Porcupine Tree and Steven Wilson many times over the years, and never had a problem with the sound before. You would guess, correctly, that this may have coloured my enjoyment of what started out as a stunning display by the band. Following a short fast-time-frame video of the façade of a massive block of anonymous apartments, Adam Holzman sauntered over to his small but perfectly formed keyboard rig, sat down and played the introductory notes of First Regret and we were off. All the songs from the new album were accompanied by a video on the large backdrop following the central character through moments in her life as she gradually disappears – not literally, you understand – in plain sight. The video enhances the isolation and disconnection put across by the album in typically bleak Steven Wilson fashion. Bring it on! After 3 Years Older, Steven had his first chat with us, explaining that they would be playing “most” (only Transience was omitted in the end) of the new album, which he says in a slightly knowing fashion he “hoped we all liked”…I could read all sorts of probably well wide-of-the-mark things into that! Hand.Cannot.Erase. is a conceptual work and a fully coherent album in the old-fashioned sense. Because of that, and musically, it is in my humble opinion the best album yet from Steven as a solo artist. The 20 minutes of music provided by Routine, Home Invasion, and Regret #9 ranks as the best suite of music so far from the musical polymath. There, that shows how much the album has grown on me since my review! As I say, H.C.E. is a conceptual piece, probably more so than any other album in his solo discography, so it would have made sense to play it through, have an interval, then come back for the rest. A small gripe but having my aforementioned imagined trilogy commencing with the marvellous and balletic Routine then interrupted by an admittedly storming version of Index was a bit of a shock! However, after the grinding heavy funk/dream pop mix of Home Invasion, we eventually get to Regret #9 and the band take the thing up to higher level for the concert highlight. This beast rocked like a monster, the not yet excessive but still shuddering volume being entirely justified. Adam’s funky synth solo followed by Guthrie’s rocking reply were, to fall back on a much overused reviewing adjective, incendiary. This whole mutha was MASSIVE and made this listener feel about this small. Regret #9 was the only song of the night that got its own standing ovation, and rightly so. Steven had said that he would be playing songs from his back catalogue, implying that meant Porcupine Tree songs too, and tonight’s treat was “one of my many non-hits”, the perfect alt-pop of Lazarus. I’m not sure Nick Beggs’ thunderous Stick additions to this tune were entirely in keeping, and I feel a traditional bass would have been a better fit, but it was good to hear one of the old ones nonetheless. On The Watchmaker Nick and Steven showed their versatility, with Steven playing Nick’s 5-string bass and Nick playing Steven’s keyboard. However, by now the excessive volume was having the effect of making me begin to feel curiously detached from proceedings, and given H.C.E.’s subject matter, the irony of that statement is not lost on me! The main set ended with the final three songs from H.C.E., the electronic beats of Ancestral adding another layer to Marco Minneman’s fabulous skin bashing. Theo Travis’s reed parts were played by Adam, but the warmth that the reeds add was missed, no matter how minimal Theo’s contribution had been to the album version. After a short break, the encore commences with the now obligatory gauze descending over the front of the stage as Laisse Hoile’s video intro for The Watchmaker plays out. Personally, I have a big problem with this song, finely crafted and immaculately played as it might be. Steven has said in interviews that the Raven… album was a homage to classic prog, and that it was “almost generic”. Nowhere is this more apparent than on The Watchmaker, a song that seems to cherry-pick tropes from all the major first-wave prog acts and then shoehorn them all into this 12-minute act of worship. When you add to that the absence of Theo whose flute is essential in the initial “Genesis” section of the song, an absence that could never be fully compensated for by Adam, I’m afraid that this performance left me cold. I can already see the flak I’m going to get for that, but hey, it’s just my opinion! Thankfully the last song, the title track and one of the less “devotional” off Raven…, is a fantastical and morbidly sad story set to a suitably melancholic tune, and a perverse but rather clever way to end the concert. All in all a good but not great gig, somewhat marred by the guy with the master volume control! Some trusty adages are simply cliches but in this case it appears to be true. I have been to – and thoroughly enjoyed – much louder gigs (as my battered lugholes can attest; plugs for me from now on) but the setting of sound levels to “Stun” for most of this show successfully rode roughshod over the subtleties that are inherent in the wonderful musical creations of Steven Wilson and that was a major disappointment and a quite bonkers decision as clarity is worth its weight in gold for a gig such as this. I suspect that this was a common problem for many audients “of a certain age” in attendance, but more of that later. 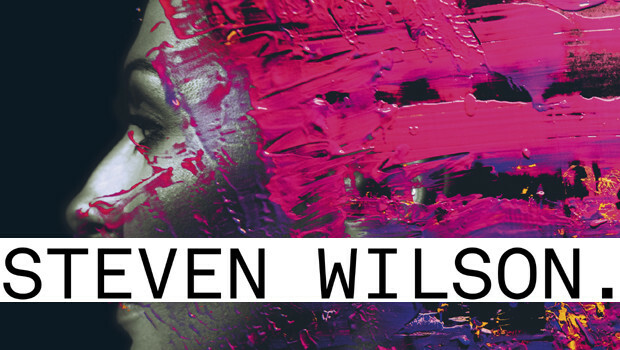 Wilson’s four album solo career (although Porcupine Tree was ostensibly a solo gig) has already covered a diverse spectrum, each album with a distinct feel and direction. Skim off the best material from each of these recordings and you’re bound to end up with a killer setlist and that is certainly the case for this tour. Unsurprisingly new album Hand.Cannot.Erase. made up the bulk of the set and was virtually played in its entirety, punctuated by a couple of unanticipated additions. Having now lived with it for a while Hand… has evolved into a highly enjoyable and emotional experience, although I still don’t feel that stylistically it quite hangs together as a complete album, but as with previous SW releases the live experience is where the nuances are more fully revealed. The “No photos” request made before the show and policed by the staff at the hall was well observed which made for a refreshing change with no phones or (God forbid!) iPads being held aloft. The first segment of the show, opening with a lengthy introduction of images depicting the urban wasteland inhabited by the main character on the large backdrop, took in the first five tracks from the Hand… album, each supported by a video that captured the imagination as they interpreted the events. Some of these, particularly the animation for Routine, were very emotional and formed a quite captivating experience but I did find it distracting from the band. In fact it was often more like watching a film and I had to remember to drag my eyes away and watch what the musicians were doing. Mr Wilson has taken “art” rock in its truest sense to new levels, the incorporation of visuals from a number of artists, lighting and other techniques being key to the presentation of his work, but it now feels like the cart has been well and truly put before the horse as for much of the set I found myself following the story rather than the band, as if the music was pre-recorded. This could all have been a quite magical experience but was certainly diminished – but not ruined – by the volume. St. David’s Hall is a fantastic venue but designed for classical concerts and is no friend to extreme volume and from where I was sitting the intricacies of the music were often hidden, the drums often a dull thud with percussion absent and power given free rein where it would have been more effective if controlled. The dynamics are crucial and for a sonic craftsman Mr. Wilson shot himself in his shoeless foot with the levels at this show which deprived the music of its depth and subtle changes, one of the main reasons why his songs stands apart. Details were lost within a bombastic wall of sound that did the music no favours at all. That said the set as a whole worked a treat and was played with stunning precision by all concerned. This is a band to die for and they all performed to the highest levels to convey the music with real passion, although I must admit that I prefer watching Guthrie Govan and Marco Minneman in the more anarchic environs of The Aristocrats where their boundless energy and enthusiasm have a completely free hand – a quite joyous and unbridled experience. Here they were, as usual, consummately professional and a pleasure to watch but slightly restrained within the music of another. Nick Beggs locked in beautifully with Minneman and underlines his position as the “go to” guy for this kind of stuff but the star for me was Adam Holzman whose playing throughout was sublime. He has an unassuming way but an absolutely beautiful touch that delivered on every level. As a frontman SW was engaging and in fine voice, his playing filling a particular role amongst his illustrious employees and fair play to him for that. The show was all about his vision and was in no way overawed by the talent and firepower on display. They certainly all work together as a team but the evening still came across as a solo show rather than a band which, despite being unsurprising, is a slight shame with only Govan getting a personal namecheck from Wilson during the show. A big loss for me was the dropping of Theo Travis from the line-up. Again not surprising as he wouldn’t have had a lot to do in this set but what he would have brought always lifts the music and his contributions are invariably just right. Maybe next time if the music calls for his contribution. Back to the show and the flow of songs from Hand.Cannot.Erase. was punctuated by three older songs. The dark and sinister nature of most of Wilson’s songs meant that a charged Index, in an alternative reading here, fitted almost seamlessly and the unexpected inclusion of Lazarus, the first of two Porcupine Tree songs tonight, was a lovely and soothing addition after a storming Regret #9, one of the highlights of the evening. The rousing Harmony Korine followed, the main set rounded off by the final run of three from Hand…. A rapturous reception from the surprisingly not full house as the band left the stage underlined the quality of the performances. So what would Mr. Wilson bring out for the encore? While the main set flowed through its various twists and turns nicely we got a stylistic shift built on The Raven… album and punctuated by another PT number. As evidenced from his last few tours SW really likes the gauze across the front of the stage as a theatrical device and he couldn’t leave it alone this time either. It still needs ironing however! Effective as it was for the (oh so long drawn out) intro to The Watchmaker it just became a pain in the arse as time went on and, as on previous occasions, distracted the audience and distanced them from the band. As the new album is all about being lost in plain sight and the anonymous nature of modern urban living this might have been cunning and deliberate but enough already! You can use it fleetingly but move on, we’ve seen it and it ain’t going to get any more interesting! Coupled with the raucous sound levels the many intricacies inherent in The Watchmaker, a track that I really enjoy, were somewhat lost. The sound suited the more metallic thump of Sleep Together and finally the barrier was removed for the final song of the evening, a beautiful The Raven That Refused To Sing, fittingly introduced by Steven with a dedication to the recently departed Daevid Allen of Gong. So that was that. The clamour and apparent need by many for the return of Porcupine Tree now seems superfluous as Wilson can integrate PT numbers at will and has the band to do them full justice, a beautiful Lazarus and banging Sleep Together evidencing this tonight but he could pull many others into the set as played by just about the best line-up of musicians in the business. 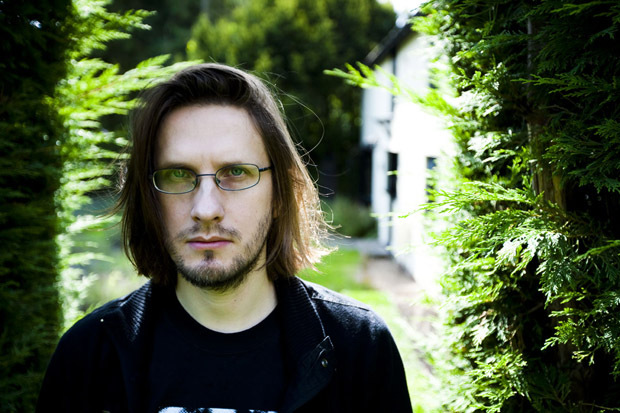 Porcupine Tree served a purpose and got Steven the attention he deserves but that band is dead, let’s leave it that way as in his solo career he now has the freedom to do whatever he will while still wheeling out old favourites should he wish to. Overall a very good show indeed but slightly diminished for me by an unsympathetic sound and a distancing presentation.